If you are just joining the most popular microblogging site, things might seem a little quiet in the beginning. Do not worry, it takes time to warm up to Twitter. It is probably the most popular social media channel used by celebrities, sport stars, politicians, and other prominent figures on both professional and personal level. 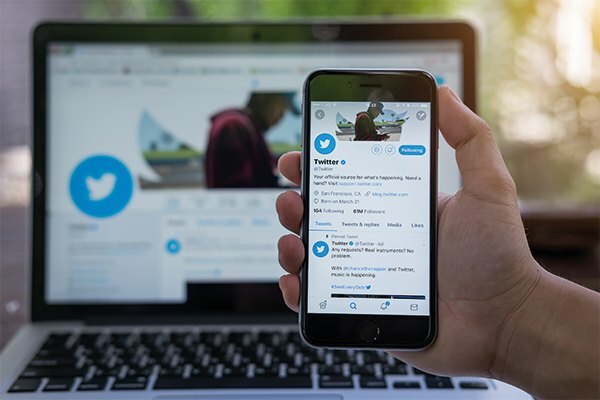 Businesses also use Twitter for their social media channel for marketing purposes and connecting with the audience. Here are a few things that will help you get things started on Twitter. The obvious first point is to sign up. The process is pretty self-explanatory, but the tricky part is choosing the right username, or what everyone else calls “handle.” Your handle is the one people are going to identify your brand with. If your business name is not available, you can choose something which is relatable to your brand. Think of your bio as the introduction point for your brand to the people. Most of these people might have a zero knowledge of what you do or sell. Keep in informative, short (or in this case, 160 characters), and quirky. Image is a big part of branding and you want to make sure that when people see the profile picture, that it is your brand! For business, the logo works best. For personal purposes, it can be a close-up photo. Make sure it’s only you in the photo. As you enter the Twitter sphere, you want to introduce your brand. This may seem not so important, but it gives it a personal touch to your brand. This also lets people know that it’s a real person behind the account and not a bot. As a brand, make sure you follow people and accounts that are relatable to your brand. Set up criteria based on your industry, experience, and goals as a brand. This will curate the type of content you have access to and the relationships you want to establish. If your brand is already on other social media channels and have an existing email list, inform your already established audience that the brand is on Twitter now. This will also increase your followers, which can be difficult in the initial phase of joining Twitter. Hashtags are an important tool on Twitter in order to start or join a conversation. You can also use hashtags to search for things on Twitter. Most trending topics also have hashtags involved. Bottom line, hashtags are very important for Twitter. Don’t make the Twitter account just about your brand. It works best when you share articles, videos, or even retweeting people that are posting things that are related to your brand. Join in on conversations, give your account a personality. However, always refrain from spamming. There are many tools that are readily available to help you schedule and analyse performance of your posts. Schedule tweets with Hootsuite and Buffer, Twitonomy to analyse hashtags, and for research purposes, Klout and ManageFlitter. As with any other marketing strategy, have a plan on how you want to use Twitter for your brand and for what purposed. Have a plan based on how you want to engage with the audience, the type of content you want to share, and the goals you want to achieve. You can also hire a social media company to help you come up with a plan. These are some of the basics you can follow to get started with Twitter. Don’t forget to explore other brands and see what they are doing. Eventually, you will start to understand how Twitter works.